With the release of the TFV12 Cloud Beast King, SMOK gave the world perhaps the highest-performing sub-ohm tank ever created. 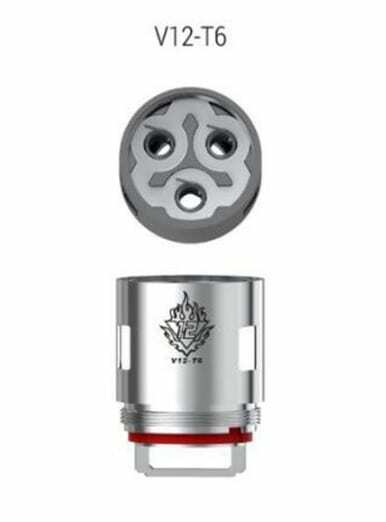 With up to 12 heating wires in a single coil head, the TFV12 Cloud Beast King is a sub-ohm tank that takes no prisoners and makes short work of even the biggest bottle of e-liquid. If you want a vaping setup that prioritizes cloud production above all else — and you’re not interested in going through the trouble of building your own vaping coils — you can hardly do better than with SMOK’s flagship tank. With the release of the TFV12 Cloud Beast King, SMOK gave the world perhaps the highest-performing sub-ohm tank ever created. With up to 12 heating wires in a single coil head, the SMOK TFV12 Cloud Beast King is a sub-ohm tank that takes no prisoners and makes short work of even the biggest bottle of e-liquid. If you want a vaping setup that prioritizes cloud production above all else — and you’re not interested in going through the trouble of building your own vaping coils — you can hardly do better than with SMOK’s flagship tank. Every box of coils purchased from Vapors Planet is guaranteed authentic, and we ship all retail orders for free regardless of size. What’s Special About the SMOK TFV12 Cloud Beast King? Other companies may claim to make sub-ohm tanks for cloud chasers, but only the SMOK TFV12 Cloud Beast King truly delivers. With coils that operate at up to 200 watts, this is a tank designed from the ground up for the most demanding vaping scenarios. 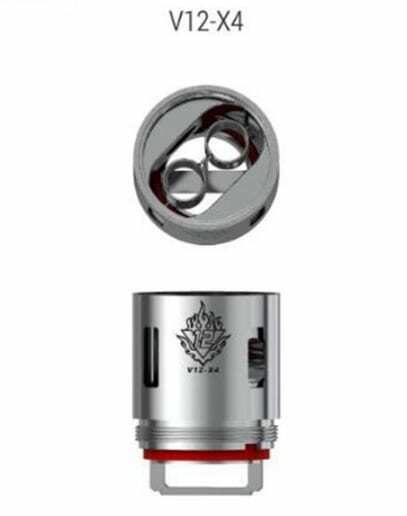 You’ll get excellent wicking performance even during chain vaping, and this tank’s special insulation helps to ensure that your lips won’t get hot while vaping. 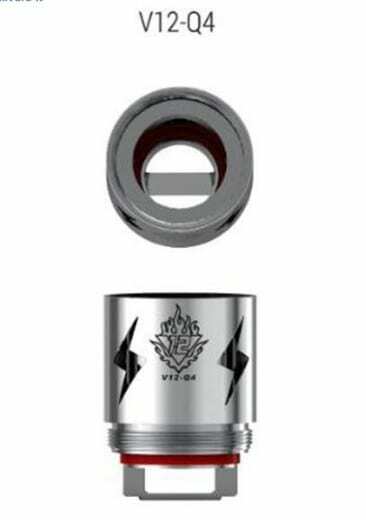 From the moment when you first see the oversized coils of the SMOK TFV12 Cloud Beast King, you’ll know this is a sub-ohm tank that means business. 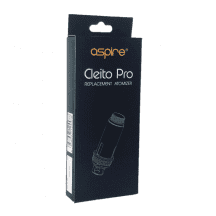 The huge surface area of these coils helps to deliver rich, pure flavor, and ample wicking material ensures that you’ll get no dry hits even during long, deep puffs. Are you a SMOK TFV8 Cloud Beast user wondering whether you should upgrade to the latest and greatest from SMOK? 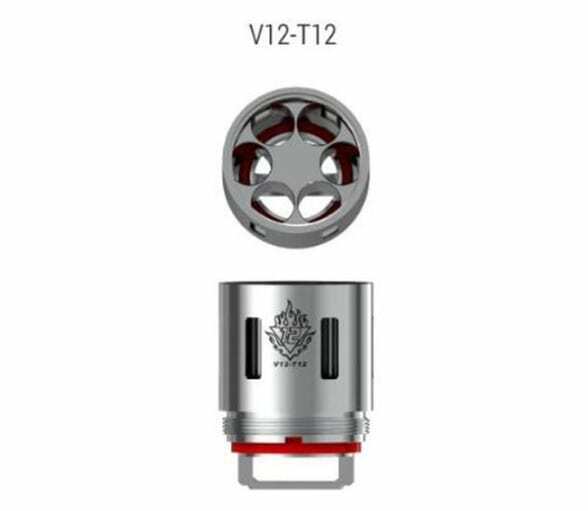 Comparing the TFV12 Cloud Beast King vs. TFV8 Cloud Beast, you’ll find that the TFV12 Cloud Beast King has larger coils and a wider overall diameter to support the larger coils without compromising e-liquid storage. 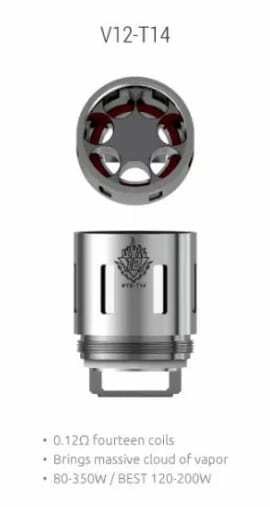 The TFV12 Cloud Beast King also has an airflow rate that’s been improved by 30 percent. When you try one of SMOK’s new 12-wire coils, you’ll see that the improved airflow is an absolute requirement! 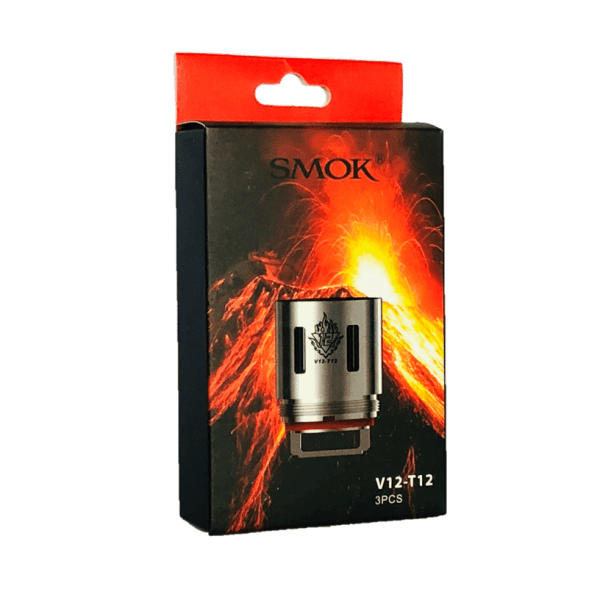 At Vapors Planet, we carry four SMOK TFV12 Cloud Beast King coils. All coils use kanthal heating wires and organic cotton wicks. T12 Coil: 0.12 ohm. Suggested operating range of 60-350 watts. For direct-to-lung inhaling. 12 total heating wires. T14 Coil: 0.12 ohm. Suggested operating range of 80-350 watts. For direct-to-lung inhaling. 14 total heating wires. T6 Coil: 0.17 ohm. Suggested operating range of 60-240 watts. For direct-to-lung inhaling. Six total heating wires. T8 Coil: 0.16 ohm. Suggested operating range of 60-240 watts. For direct-to-lung inhaling. Eight total heating wires. X4 Coil: 0.15 ohm. Suggested operating range of 60-200 watts. For direct-to-lung inhaling. Four total heating wires. Q4 Coil: 0.15 ohm. Suggested operating range of 60-190 watts. For direct-to-lung inhaling. Four total heating wires.